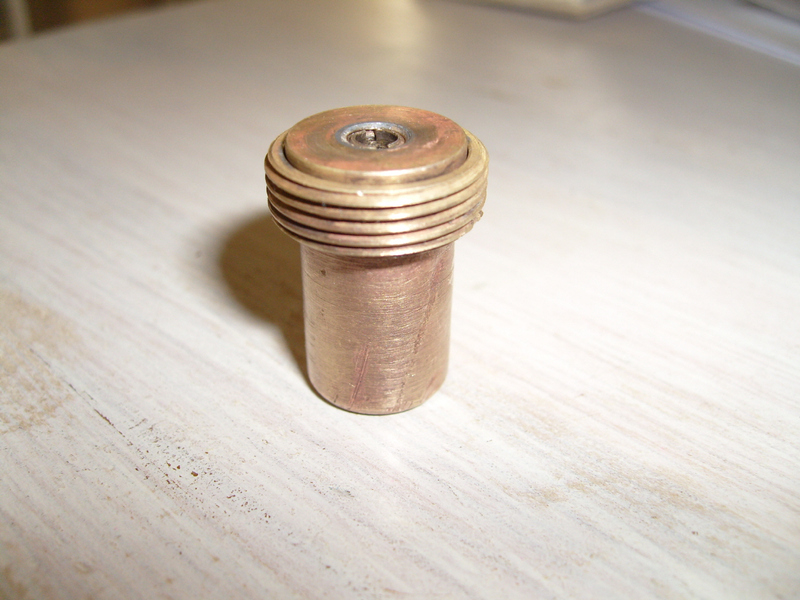 Model 1935: Material of body and striker-steel, material of cap and detonator assembly--brass. Model 1936: Material of body and striker-aluminium, material of cap and detonator--aluminium. 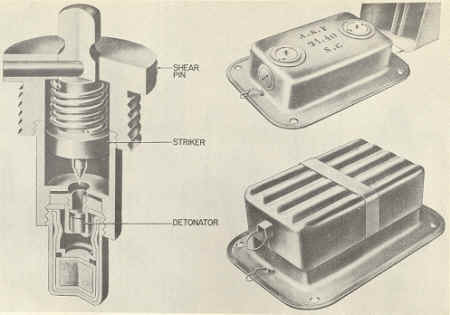 In arming the mine , the plug protecting the igniter socket is removed and the primer is placed in position; this latter consits of a small circular metal container with a central hole to recieve the detonator. 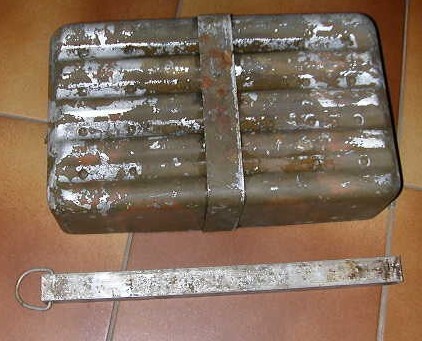 The igniter, with detonator is then screwed in place. 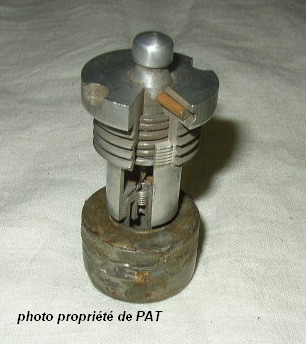 The igniter functions when a load on the mine crushes the cover and, descending onto the striker head, shears the igniter pin. 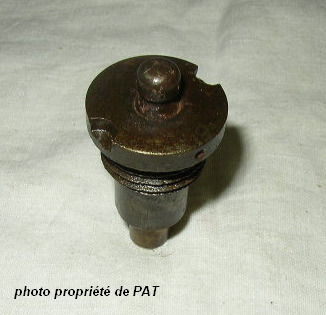 A strong steel spring then forces the stiker onto the cap, thus firing the detonator, primer and mine. The igniter is normally supplied with a loose metal safety collar. 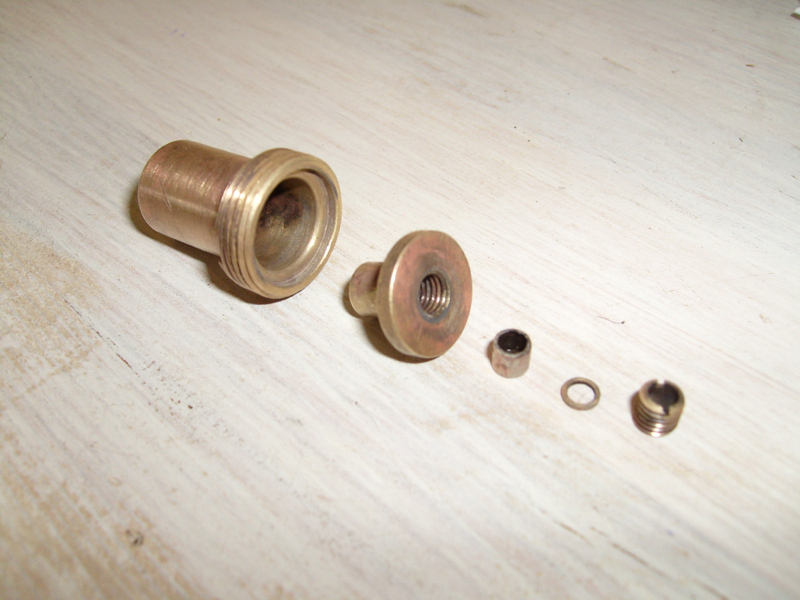 This collar is placed in position on the head of the igniter body during transportation to prevent any load falling on the striker head. 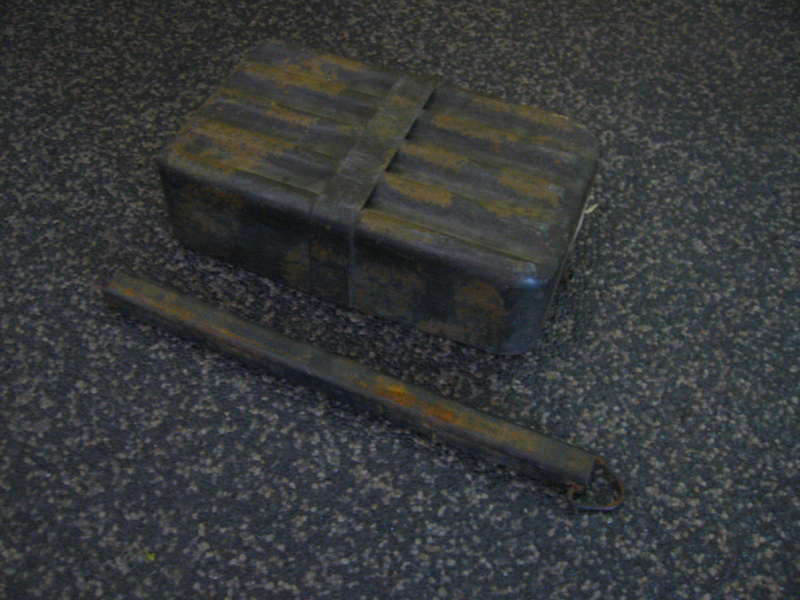 Photos below shows steel camouflaged cover with the safety bar. 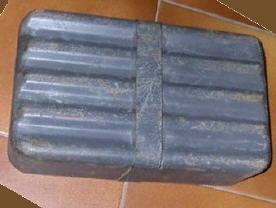 Aluminium covers are found as well, these appear to be constructed under german authority. 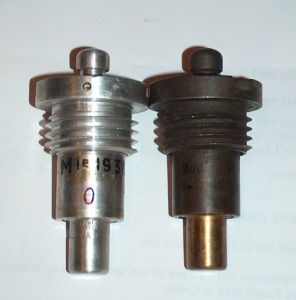 Photo on the two types of fuze © Dave Sampson. The three photos below are taken by myself. 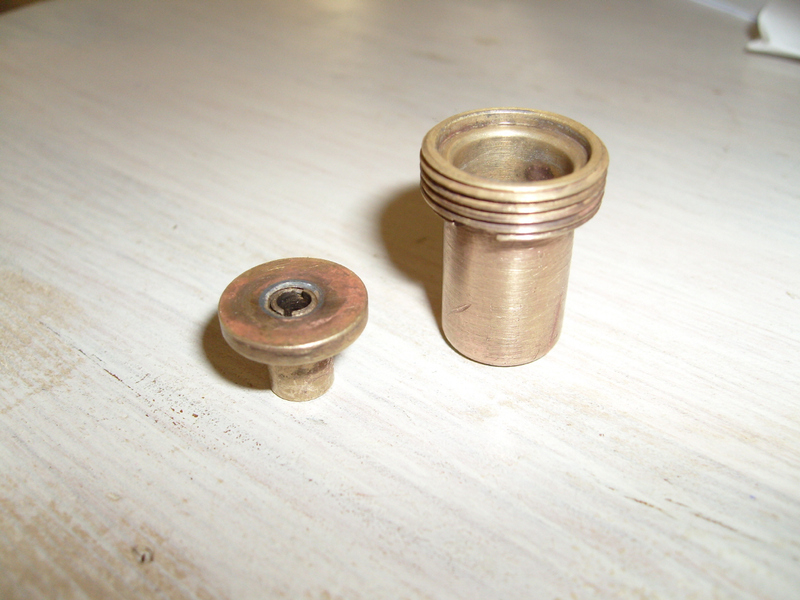 They show the threaded brass cup that held the detonator in place. The small top disc held the primer, which means that a fuze without this booster held no pyrotechnics itself. 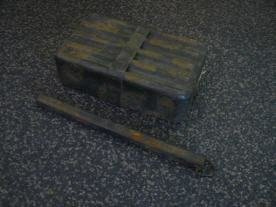 The actual detonator is not in the photo. 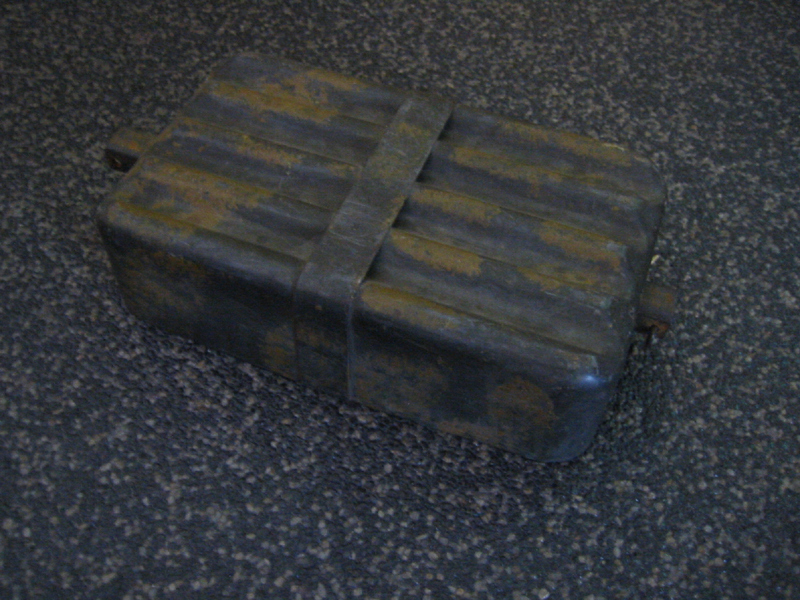 The whole was screwed to the base of the mine-fuze.